When will be It's Called Football next episode air date? Is It's Called Football renewed or cancelled? Where to countdown It's Called Football air dates? 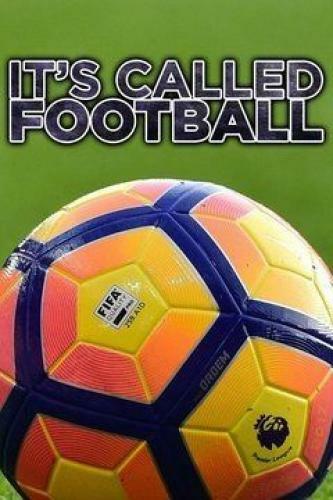 Is It's Called Football worth watching? NBC Sports Group and Whistle Sports have teamed up on a new series It's Called Football hosted by the YouTube sensation F2 Freestylers. The six-part series debuts on Boxing Day with back-to-back episodes this Monday, Dec. 26, beginning at 4:30 p.m. ET on NBCSN following a live Premier League triple-header. The show will present viewers with the jaw-dropping trick shots the F2 Freestylers have become known for, as well as an in-depth look at what makes the Premier League unlike any other league in the world. In each 30-minute episode, F2 Freestylers Billy Wingrove and Jeremy Lynch will take fans behind a different club from the Premier League, providing background on the culture, songs, stadiums, history, and fans of the club. Exploring the old stadium and the new one; trying tekkers around town and tasting the local cuisine; meeting West Ham players for some epic shots. Exploring historic sites and practicing skills with players at the club's new state of the art training facility. Exploring the grounds, meeting players and trying one-of-a-kind trick shots at Chelsea Football Club. Exploring the grounds of the Chelsea Football Club, meeting the players and trying one-of-a-kind trick shots. It's Called Football next episode air date provides TVMaze for you. EpisoDate.com is your TV show guide to Countdown It's Called Football Episode Air Dates and to stay in touch with It's Called Football next episode Air Date and your others favorite TV Shows. Add the shows you like to a "Watchlist" and let the site take it from there.